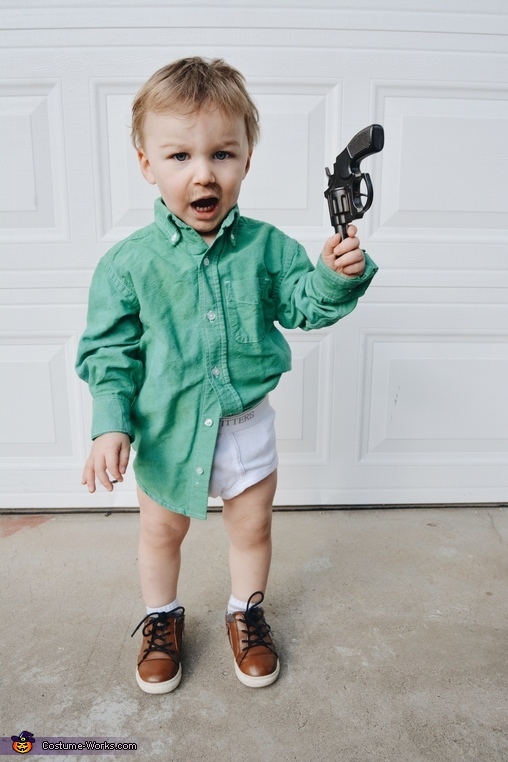 We dressed my 1 1/2 year old son as Walter White from breaking bad! I couldn’t find a green shirt at the thrift store so I bought a light blue button down and dyed it green. I got him some tidy whities and drew on a mustache with an eyebrow pencil. Finished it off with socks, brown shoes and a silver toy gun. He wouldn’t wear the glasses but I still think it came out really good, not to mention funny!